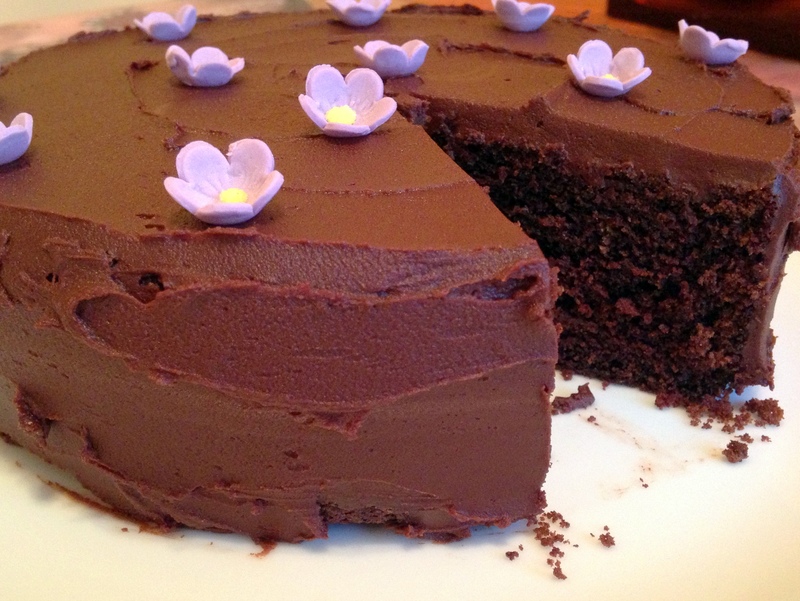 This is one of the best chocolate cakes I’ve made. It is based on a recipe by Tom Kerridge where he used Dark Ale instead of Guinness. Grease a 9” round baking tin (spring-form if available). Place parchment paper on the bottom and flour around the edges to prevent from sticking. Mix the Guinness and the cocoa powder together until well combined. Separately beat the butter until soft and add the brown sugar. A KitchenAid or hand blender works best. Beat until combined, smooth and creamy. This will take a few minutes. Sift the flour, baking powder and bicarbonate of soda and fold in to combine until no flour is visible. Pour into the cake tin and bake for about 35 mins. It should feel slightly springy on top. When the cake has cooled, you can make the icing. Separately, beat the butter and icing sugar together until combined. Add the Guinness or cream and combine. Add it to the chocolate mixture once it has cooled slightly and mix well. It needs to be thick but spreadable, so you may need to add more Guinness or cream. You can now cover the top and sides of the cake using a spatula or a palette knife.